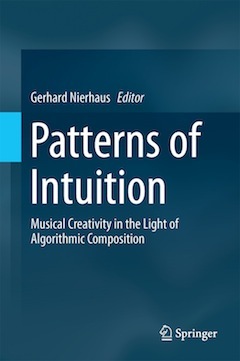 The ongoing research has been presented by lectures and/or workshops at the University of Music and Performing Arts Graz/Austria, University of Graz/Austria, several General Assemblies (2011 - 2014) and Research Festivals (2012, 2013) at the Orpheus Institute Ghent/Belgium, the KMH Royal College of Music in Stockholm (2011), the Cairo Contemporary Music Days 2014 and the Darmstädter Ferienkurse für Neue Musik 2014. The compositions written during the project were presented in two concerts, one with solo piano (Janna Polyzoides, Eva Bajic) and one with string quartet (members of Klangforum Wien) on July 2th 2014 in MUMUTH Graz, accompagnied by a lecture of the project team. The concerts and a feature about the project have been disseminated through two broadcasts by Austrian National Broadcasting Cooperation ORF / Ö1.